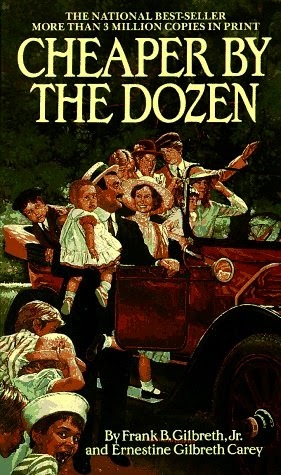 Cheaper by the Dozen by Frank B. Gilbreth, Jr.
“Cheaper by the Dozen” is a biographical novel written by Frank Bunker Gilbreth, Jr. and Ernestine Gilbreth Carey that tells the story of time and motion study and efficiency experts Frank Bunker Gilbreth and Lillian Moller Gilbreth, and their twelve children. The book focuses on the many years the family resided in Montclair, New Jersey. 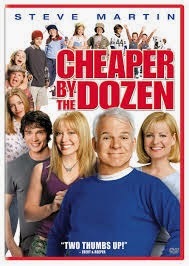 It was adapted to film by Twentieth Century Fox in 1950.The comedic 2003 remake of the 1950 film adaptation stars Steve Martin, Hilary Duff and Bonnie Hunt.